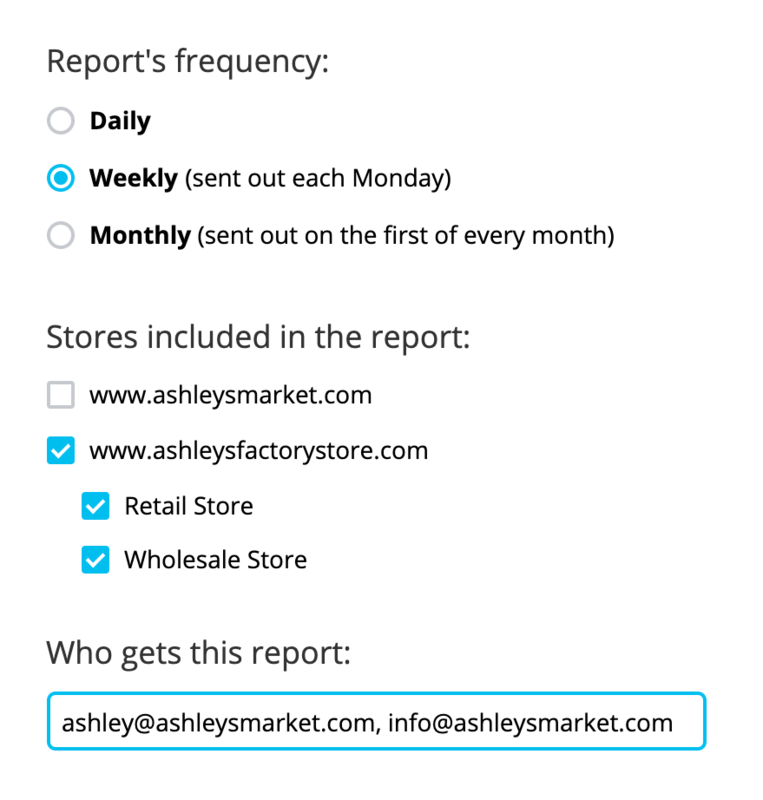 SavvyCube's email reports help you stay informed about how your ecommerce business is doing. Anywhere from any device. Send regular performance updates to yourself, your teammates and your clients. You can choose to receive you report daily, weekly or monthly. You can schedule any number of email reports for any store, delivery frequency or addressee. Pick multiple metrics to include in your report. 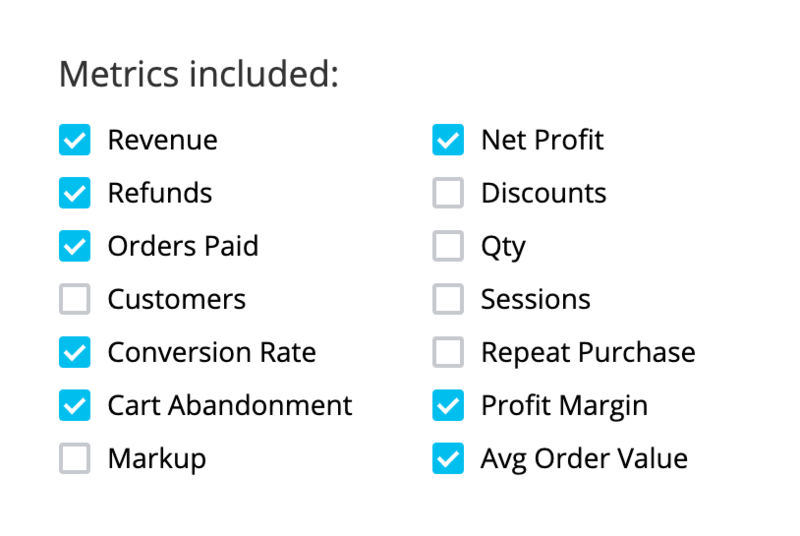 We’ve build a list of metrics for you to choose from based on their ability to reflect the performance of an ecommerce store. Include one or several Top Lists in your email report. 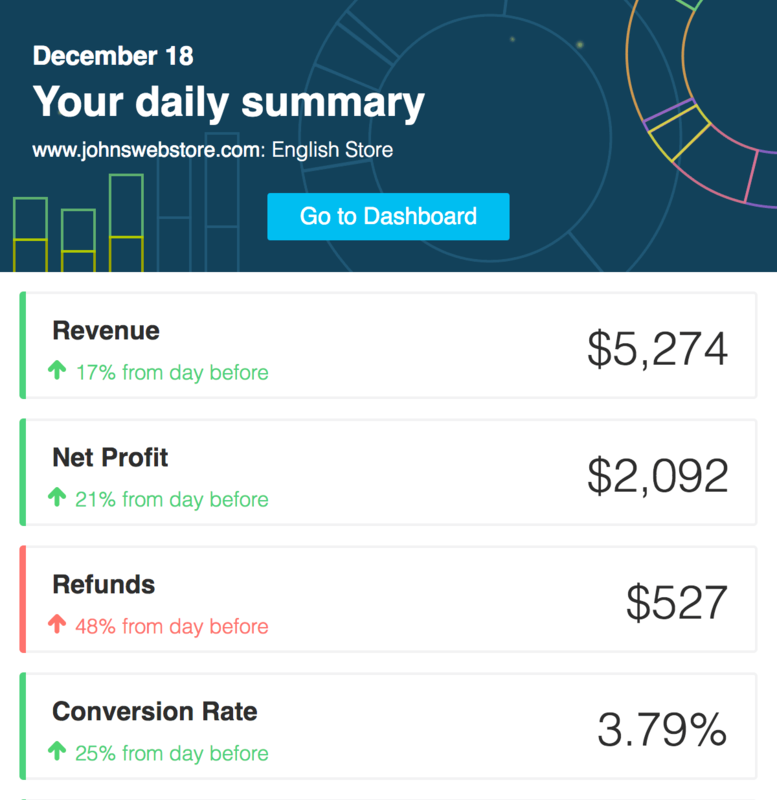 See your top orders, top spending customers, bestselling products, and most converting marketing channels.